The Tempur-Pedic TEMPUR-Cloud Breeze pillow is our top choice for people who sleep hot. Both sides of the pillow are lined with a layer of Tempur-Breeze gel which is designed to keep you cool throughout the night. 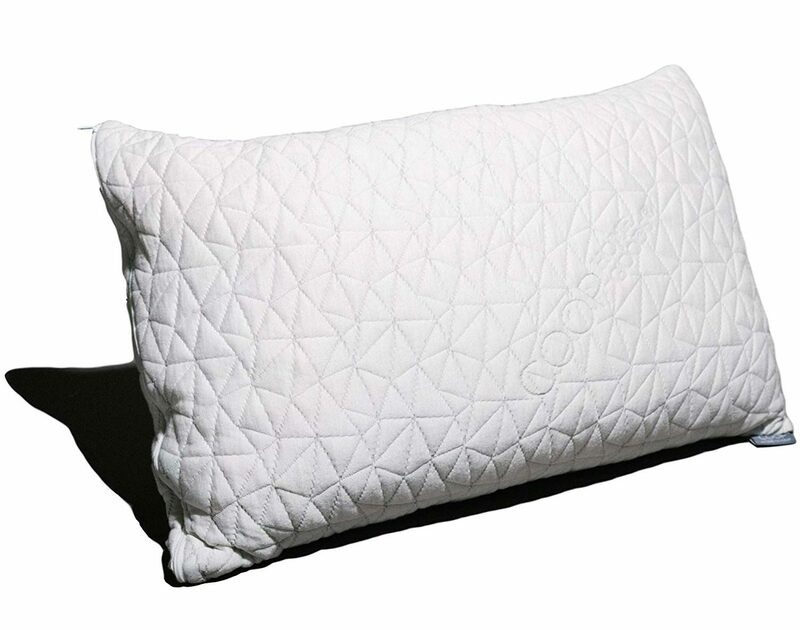 The pillow is also encased in a soft, breathable quilted cotton cover. 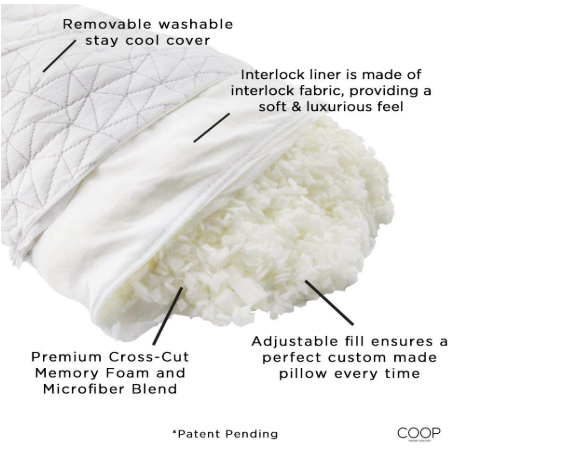 Breathable cover: Pillow is also encased in a soft, breathable quilted cotton cover to help keep you cool. Comprised of shredded memory foam, this pillow is adjustable, malleable, and sleeps cool thanks to shredded memory foam and a breathable rayon from bamboo cover. Did you know that the average person spends approximately one-third of their life sleeping? Of course, that doesn’t take into consideration that for some, most of that “sleep time” is actually spent tossing and turning, but you get the point. We spend a lot of time in bed and ideally that time is well used and comfortably spent. A while ago we shared the best mattresses to buy online, and now we’re excited to share the best foam pillows. While there’s no “best foam pillow” for everyone, we tried to cover all sleepers: the best for side sleepers, people who sleep hot, those who have neck pain, and more. The Coop Home Goods pillow is perfect for all sleepers, whether you’re a side, back, or stomach sleeper. 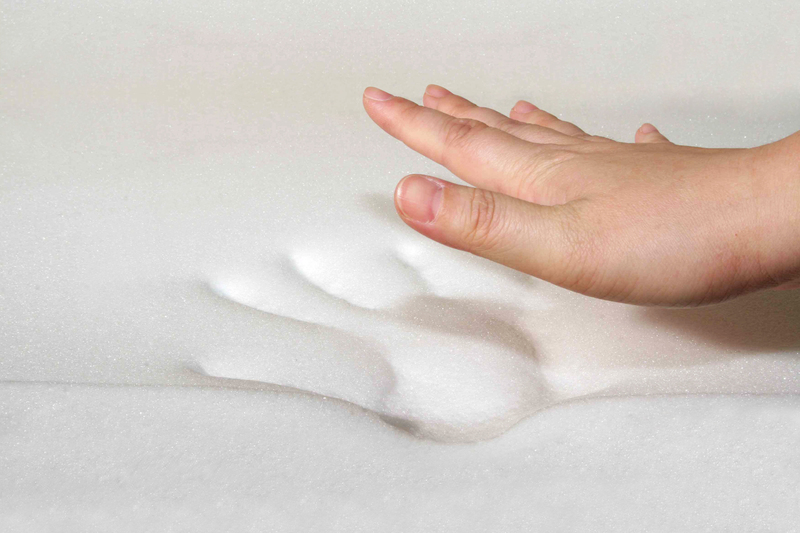 Thanks to the shredded memory foam, it’s easily malleable and more breathable than traditional memory foam pillows. The breathability is also bolstered by the cover, which is comprised of 60% Polyester and 40% Rayon Derived from Bamboo. It’s also adjustable: if it’s too thick, you can simply pull out some of the shredded foam until it’s the ideal thickness for your sleeping comfort. Hypoallergenic: Pillow is perfect for those who suffer from allergies thanks to the hypoallergenic pillow, which is also dust mite resistant. The Snuggle-Pedic memory foam pillow is not only one of our favorites, but it’s one of the most affordable as well. Comprised of shredded memory foam, it’s adjustable and malleable. Older models had to be shipped back to the manufacturer to adjust filling, but new models such as this one feature a removable outer cover so you can unzip it and add or remove filling to perfect your comfort level. 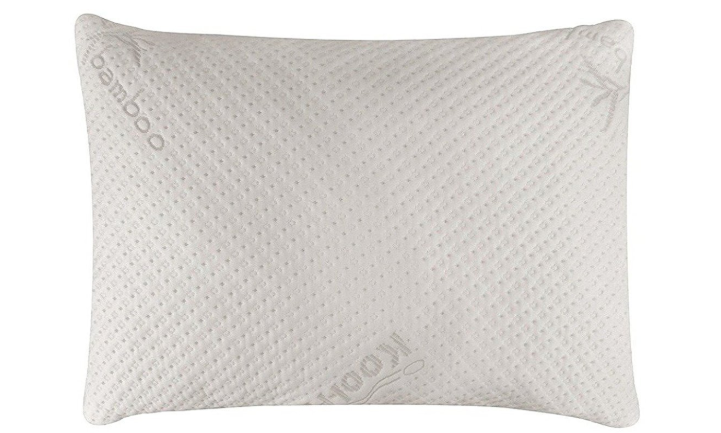 With shredded memory foam and a rayon from bamboo cover, this pillow sleeps cool. Brooklyn Bedding is a mattress manufacturer that entered the memory foam pillow space not too long ago. The company prides itself on offering a pillow with “cloud-like comfort with contoured support” and it’s perfect for both side and stomach sleepers. The pillow is stuffed with shredded memory foam and features a side zipper so you can remove or add foam and adjust the pillow to your preferred height. Hypoallergenic: Materials are antimicrobial and resistant to allergens, mold, bacteria and dust mites. Breathable: Ventilation design promotes air circulation for a cooler night’s sleep. Purple mattress is a memory foam mattress developed by an aerospace engineer and is designed to alleviate joint and shoulder pain. Thankfully the company now offers pillows as well which provide the same pressure relief and joint-pain combatting benefits. The purple pillow offers three layers: a top layer providing reinforced neck support, a middle Smart Comfort Grid™, and a cooling cover. The Smart Comfort Grid™ was “engineered to provide optimal neck support while comfortably cradling your head” and “allows passive airflow and dissipates your body heat.” Thus, this pillows sleeps cool, helps alleviate joint pain, and overall is our favorite memory foam pillow for people with bad backs and neck pain. Free shipping: In contiguous U.S. If you sleep hot, you may not like most memory foam pillows are they generally sleep hotter than cotton or down-filled pillows. But what if you love memory foam pillows? Thankfully, companies such as Tempur-Pedic have come up with a few solutions. The Tempur-Pedic TEMPUR-Cloud Breeze pillow is our top choice for people who sleep hot thanks to two key attributes: a cooling gel and a breathable cover. Both sides of the pillow are lined with a layer of Tempur-Breeze gel which is designed to keep you cool throughout the night. The pillow is also encased in a soft, breathable quilted cotton cover. Memory foam is technically known as Viscoelastic polyurethane foam. It was invented in 1966 by NASA as a means of keeping astronauts comfortable and safe during space launches. In the early 1980s NASA shared memory foam with the public and in 1991 the first memory foam mattress was created: The Tempur-Pedic Swedish Mattress. Forms to your exact shape: Memory foam uses your body heat and body pressure to form to your build. Your body heat softens the foam and makes it more viscous, allowing you to sink further into it and in a sense “hug” your body. This creates a natural curve, which provides excellent lumbar support and is great for your spine. Relieves pressure: Memory foam relieves pressure and as a result, can help reduce joint pain. Eliminates motion transfer: If you sleep with a partner who tosses and turns, memory foam can help. While this is more beneficial for mattresses, it’s worth noting for pillows as well. Because memory foam is so dense, you sink in and movement is pretty much absorbed by the memory foam as opposed to transferred. Hypoallergenic: If you have allergies you should definitely check out a memory foam mattress and memory foam pillow. Because memory foam is so dense, it reduces the number of allergens such as dust, mold, and other than can build up over time. We wouldn’t be giving you the full story if we only covered the good that memory foam can offer. So now let’s look at the not-so-good. Weight: Memory foam is heavy. Much heavier than cotton or down-filled pillows or mattresses. While this can be a problem with mattresses, it’s typically not an issue with pillows but worth noting. Hot: Memory foam doesn’t allow airflow like other materials do and can retain body heat. As such, it can get hot so if you sleep hot, a memory foam pillow may not be the best pillow for you. Not waterproof: If you like to drink coffee (or wine) in bed, you really shouldn’t if you have a memory foam pillow or mattresses as memory foam is not waterproof. If memory foam gets wet, it will retain the moisture which can not only lead to a foul odor, but degenerate the foam as well. Tend to drool a lot in your sleep? You may want to avoid memory foam pillows in total. Difficult to clean: As memory foam is not waterproof, it can be difficult to clean. Initial smell: Memory foam tends to smell like chemicals when it’s new. Typically the smell will go away after a few days, but for sensitive noses, it can last weeks. Price: Memory foam is typically more expensive than cotton or down or other materials. In our opinions, the pros of memory foam outweigh the cons, but we thought it necessary to lay them out for you. If you’re in the market, take a look at the below in order to get an idea of the best memory foam pillow for you. As we mentioned above, traditional memory foam pillows are made from one large piece of memory foam. The shapes of traditional memory foam pillows can vary. The most common are flat, contoured, and wedge. Flat: Flat memory foam pillows are rectangular and resemble tradition pillows. These are the most basic form of memory foam pillows and perfect for back sleepers, stomach sleepers, and those without joint problems or other ailments. Contoured: Contoured memory foam pillows creates a more supportive shape and surface for the neck, head, and shoulder. These are the best memory foam pillow for side sleepers. Wedge: Wedge-shaped pillows are the best memory foam pillows for people who have joint problems, are pregnant, have gastrointestinal ailments, snoring issues, or other esophageal issues. The slope allows users to rest their heads (or shoulders, legs, or knees) in an elevated position in order to promote blood flow and alleviate pressure. This can also help reduce snoring caused by sleep apnea or acid reflux. As we told you above (and as the name implies), shredded memory foam pillows are comprised of shredded memory foam. An out shell (typically made of cotton or polyester) is filled with tiny chunks of torn memory foam. These pieces are able to move around and thus allow you to mold and sculpt your pillow much like you would a down pillow. 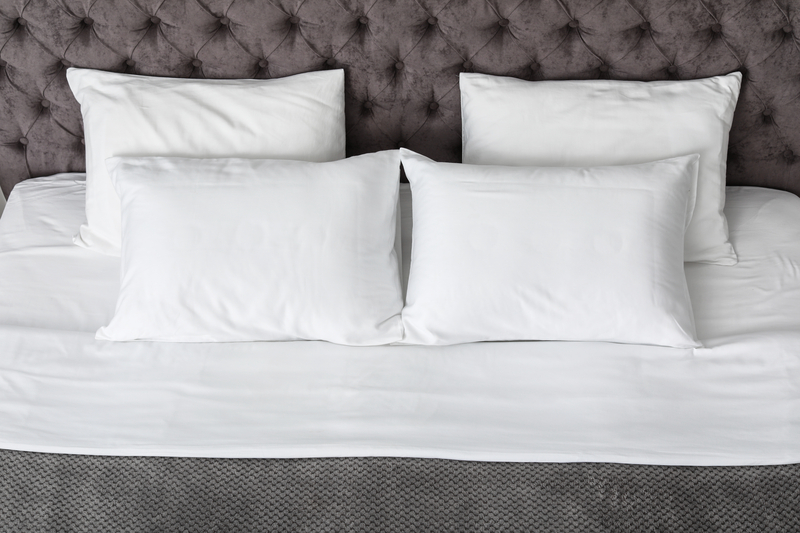 If you’re a non-committal sleeper – sometimes you like a flat pillow, sometimes you like a mounded pillow, sometimes you like a lumpy pillow – then the shredded open may be the best memory foam pillow for you. The other benefit of shredded memory foam is that it’s more breathable than traditional memory foam and thus allows you to sleep cooler than traditional memory foam. Think you’re a pro on memory foam pillows? You’re off to a good start! You now know the different kinds of memory foam pillows, which is best for side sleepers, stomach sleepers, and back sleepers, and which type is best for people who sleep hot. Now let’s look at a few more factors that you should look at when purchasing your first (or new) memory foam pillow. Standard: The most common pillow size. This is typically the cheapest option, as well as the shortest and uses a regular sized pillow case. Queen: Queen pillows are about four inches longer than standard pillows and are perfect for those who tend to toss and turn. King: King pillows are size inches larger than standard pillows. They’re great for people who toss and turn, as well as for people who like to sit in bed to read, watch tv, or drink coffee. Body: Body pillows are long and wide. They’re great for pregnant women, or those who like to cuddle with pillows while they sleep. In terms of thickness, memory foam pillows vary. Some are thin, while others can be 5 inches or more. 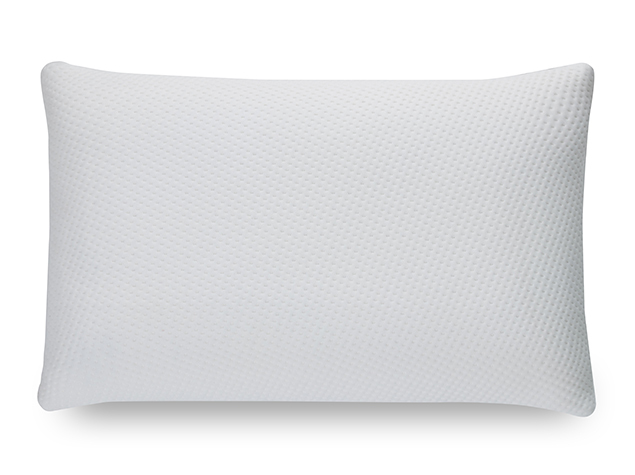 If you like a consistent thickness, you’ll want to go with a traditional memory foam pillow. If you prefer to customize the thickness, try a shredded memory foam pillow. Pillows should be comfortable. Size and thickness are two key factors of comfort, so if you can, test a few memory foam pillows in person before purchasing to decide which is the most comfortable option for you. If you choose to buy online, check the return policy. Some offer trial periods as well so you can test the pillow for a few nights before making your final decision. Memory foam pillows are not machine washable (remember they’re not waterproof) but most come with removable, machine washable covers. Check the make-up of the cover before you buy, as many include additional comfort features. 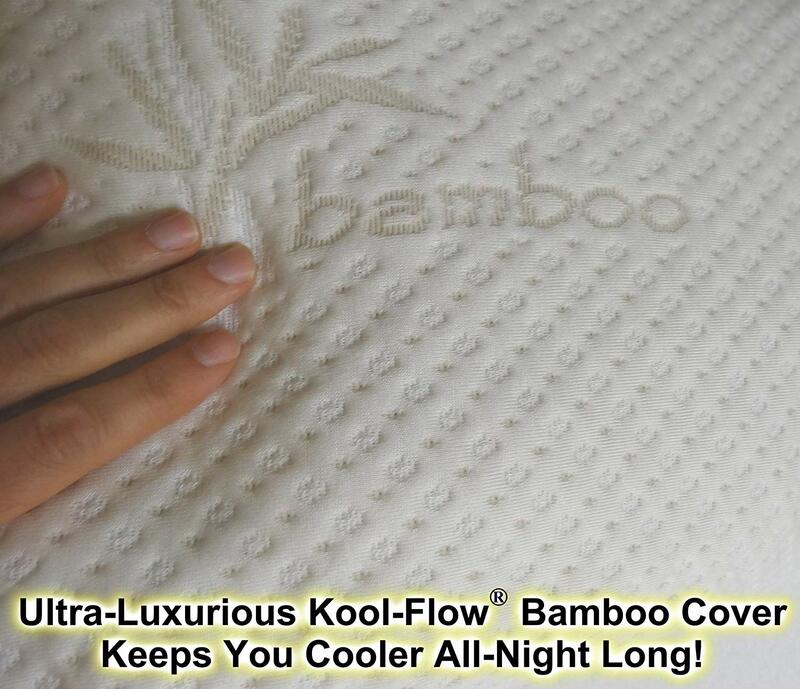 he copper-infused covers and bamboo covers are one of the ways memory foam pillows can keep you cool. Another is cooling gel. Some memory foam pillows have layers of cooling gel built into their sides which can prevent you from overheating at night. Other have mesh panels on their sides. If you tend to sleep hot, we recommend looking for a memory foam pillow that promotes cooling. If a memory foam pillow isn’t waterproof, how do you clean it? Thankfully the covers are machine washable, but how do you clean a memory foam pillow? For starters, you should vacuum it every time you change your sheets. You may want to spot clean it every two weeks as well to remove dirt and sweat buildup that may have broken through the case. Fill a bathtub with warm water and a small amount of gentle detergent or soap. Slowly submerge your memory foam pillow in the soapy water, squeezing it to allow the water to penetrate it fully. Repeat two times. Remove pillow from soapy water, dump water and fill with clean water. Submerge pillow in clean water, squeezing several times to allow clean water to penetrate. Once soapy water has been completely removed, air dry memory foam in direct sunlight. If you’re purchasing a memory foam pillow online, it’s obviously impossible to test before you buy. And if you purchase in-store you can test it out to an extent, but you won’t know if you like it until you try sleeping on it. Thankfully, most memory foam pillows come with generous return policies. Good return policies can range from 30 days to 120 days or more. We recommend finding a return policy that’s at least 30 days, as it can take a month to fully adjust to a new pillow. We like companies that believe in their products, which is why we like good warranties. In our minds, if a company is willing to back its product, they believe in its quality, right? Memory foam pillow warranties range. We found some that only offered one year and others that were 5 years or more.